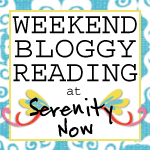 Serenity Now: Nesting Fever: A Swiffer Bissell Steamboost Giveaway! 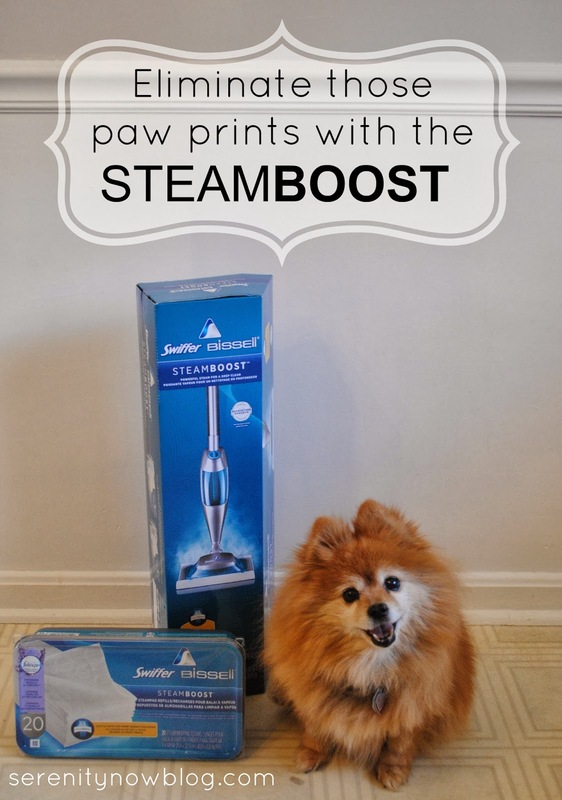 Nesting Fever: A Swiffer Bissell Steamboost Giveaway! This post brought to you by Swiffer. 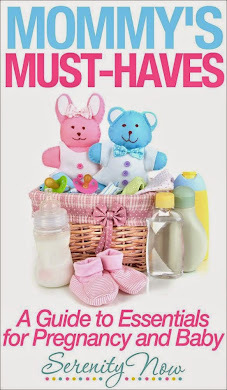 In the last weeks of a pregnancy, many moms experience a slightly insane urge to clean, purge, organize, and straighten. I have been no different. Today I'm partnering up with Swiffer and Bissell to give away a new Swiffer Bissell Steamboost. Keep reading enter and to see how this baby can bring some shine to your home, just in time for the holidays. We live in a 1970s Colonial. I'm not sure how old our vinyl flooring is, but it was here when we moved into the house 10 years ago. It's an off-white and gray combo. Between two adults, two small kids, one tiny fluffball dog, and one large messy dog, it can be a disaster area. German Shepherds are prone to shedding, and if I don't keep up with it, the kitchen sports tumbleweeds of dog hair and paw prints. Blech. Not the environment I want to bring my new baby home to. But a new steam mop could help, right? No pricey cleaning solutions are needed. You just fill the Steamboost tank with water, attach the special steam pad, plug the unit in, and you're ready to do some steam cleaning in about 30 seconds. Dirt doesn't stand a chance! Swiffer tells me that the Steamboost is safe for linoleum, vinyl, ceramic tile, marble, stone, and sealed hardwood floors. Whether you're welcoming guests into your home this holiday season, bringing home a new addition, or you are just plain tired of wrestling with your old mop and bucket, the Swiffer Bissell Steamboost would be a fantastic purchase. Consider adding it to your wishlist for Santa! 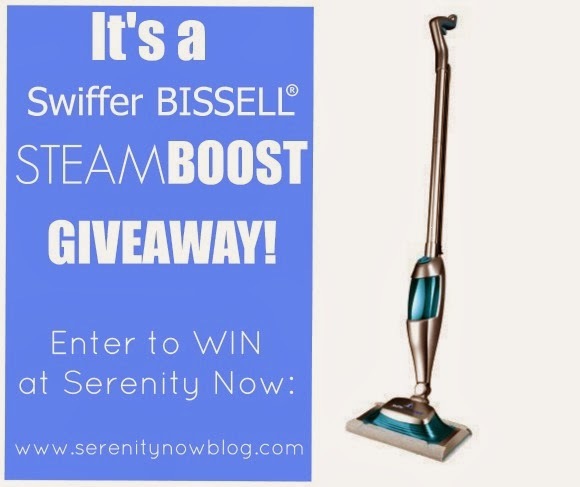 I'm giving away 1 Swiffer Bissell Steamboost to a lucky Serenity Now reader! *Giveaway open until 12 am EST on Saturday, November 16th! Please see the rafflecopter widget above for sweepstakes rules. Disclosure: I was not financially compensated for this post, but Swiffer did send me a Steamboost in exchange for this Giveaway. All opinions are 100 percent my own, as always.